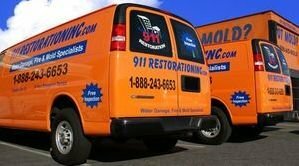 Water damage needs to be repaired as soon as possible to reduce the amount of destruction caused by floods, so our water damage Connecticut company is available 24/7/365 and our water damage Stratford crew with 911 Restoration Connecticut will respond within 45 minutes of your emergency call. Leaks can occur from thunderstorms battering your roof or plumbing issues that start pumping water into your crawlspace. 911 Restoration Connecticut has years of experience dealing with all disaster restoration services, so we know how to return your home to normal quickly. The longer water damage sits, the more it spreads. Our water damage Stratford professionals use the latest drying technology for water extractions to make the process fast and thorough. If any of these types of damages occur, it is important to turn the water line off to your home and evacuate because if black water or gray water is involved, they could cause serious health problems. Our water damage Stratford team offers same day service to make houses in the community safe and healthy again. 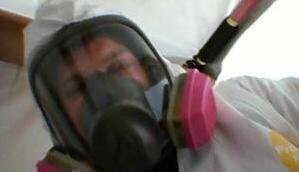 We even offer a free inspection to check for mold once the drying and clean up job is done. When you find leaks inside your property, call our water damage Stratford experts for an affordable price on water damage restoration services and mold removal. Call our water damage Stratford specialists if you discover returning water in your residence and we will provide the most superior water damage restoration services. 911 Restoration Connecticut can handle the entire water recovery process. We will make inform you how to shut off your water line and electricity to prevent further damage from more flooding and short circuits. Once we arrive, our water damage Stratford personnel can help move furniture out of the way of the disaster. As soon as the emergency is under control, we will aid you with the other side of the disaster restoration process: insurance paperwork. We are a insured, licensed and bonded company equipped to make the water cleanup as fast and professional as possible. Our water damage Stratford technicians do everything we can to reduce the stress from the situation. We are working with all insurance companies to make sure your homeowner’s insurance policy covers your water damage disaster, so call 911 Restoration Stratford today! 911 Restoration is the best water damage Stratford company due to the fact that we have the necessary experience, education, and equipment. We return your home to better-than-new condition. Stratford, Connecticut is located right at the mouth of the Housatonic River. The city of Stratford has above average rainfall coming in at 42 inches per year where the United States average is just 37. The city also averages around 37 inches of snowfall per year which is 10 inches above average from the rest of the United States. During any time when Stratford receives a good amount of precipitation houses are in danger of water damage from flooding. Rely on our water damage Stratford experts to repair your home after such an ordeal. Call our water damage Stratford team with 911 Restoration Connecticut for a fresh start after floods or plumbing issues, and we will get you back on track to success in no time today!